Our tamariki turned into dragons! On Saturday and Sunday, visitors to the museum were given a shock. Our NatureSpace hosts had turned into dragons! Luckily, they didn’t look too scary. 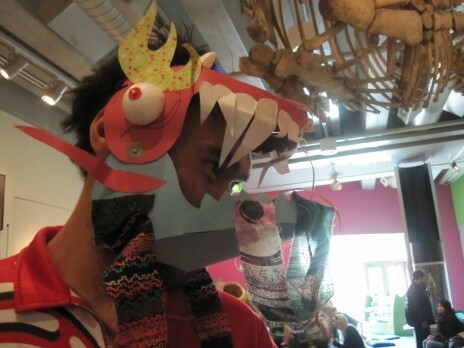 Michael, a Discovery Centre Host, wearing a dragon mask. Photo Ruth Hendry. © Te Papa. Every weekend between 11am-12noon the Discovery Centres have free craft activities for children and families. 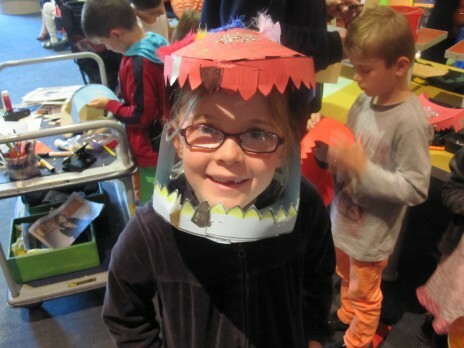 Last weekend children made their own dragon masks: scary, silly and surprising. 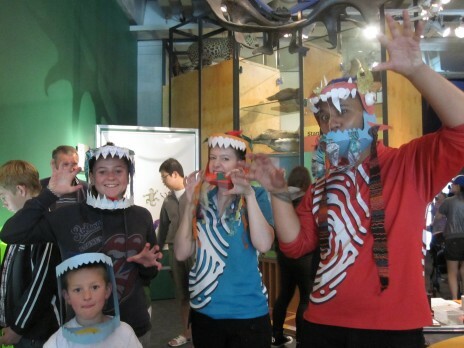 Discovery Centre hosts and visitors wearing dragon masks. Photo Ruth Hendry. © Te Papa. 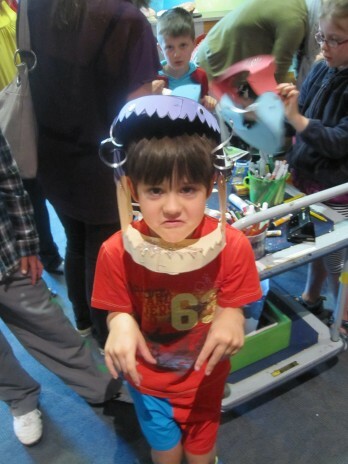 There were some great dragon masks from our visitors; we were inspired! Next week, get creative with us and decorate your own game player to celebrate the opening of GameMasters. Visitor wearing his dragon mask. Photo Makaira Jenkins. © Te Papa.